Microdermabrasion treatment uses sand-like silicon oxide crystals through inhalation at high speed on the surface of the skin under strong vacuum suction. It brings out the deep-seated dirt and waste from the skin pore. The skin will become whitening and tender when the new skin grow. 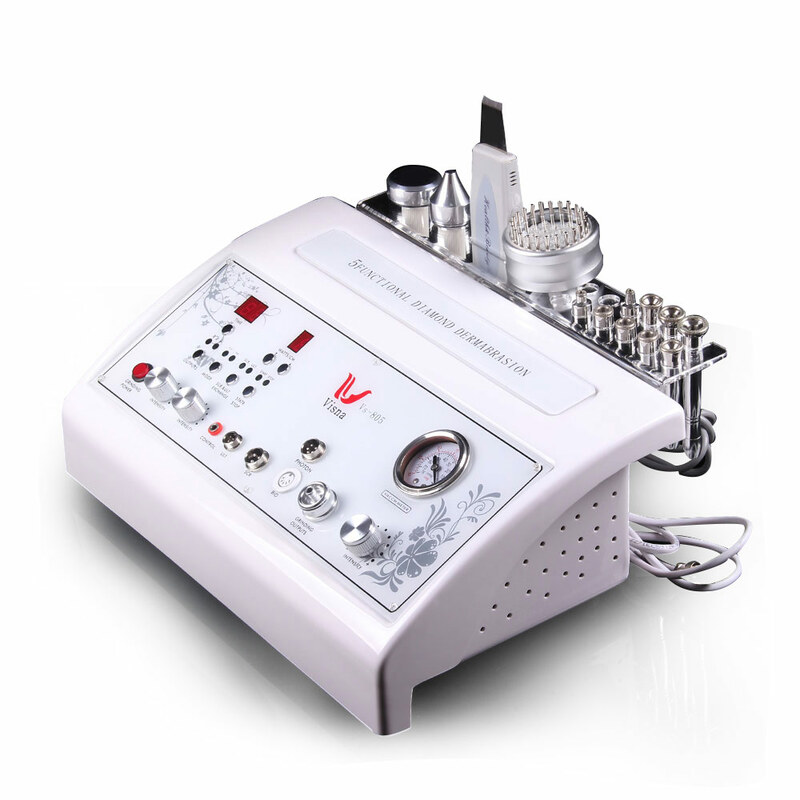 The ultrasonic works with high-speed ultrasound wave vibration, clean up the dirt in the deep skin. And the scrubber can accelerate the skin to absorb the nutrition with a high vibration frequency,then eliminate your wrinkles and lift your face.